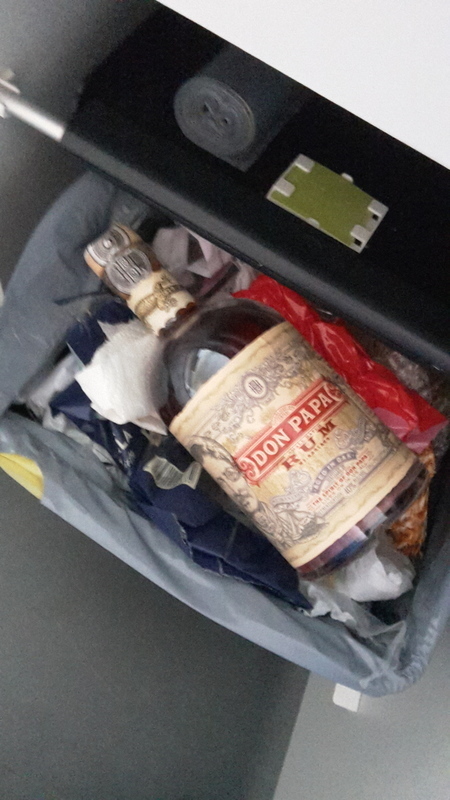 Have you found an online vendor selling Don Papa Small Batch? Don Papa Small Batch Rum is produced by the Bleeding Heart Rum Company on the southern island of Negros in the Philippines. The rum is distilled from molasses, then aged for over 7 years in American oak barrels, and lastly charcoal filtered. 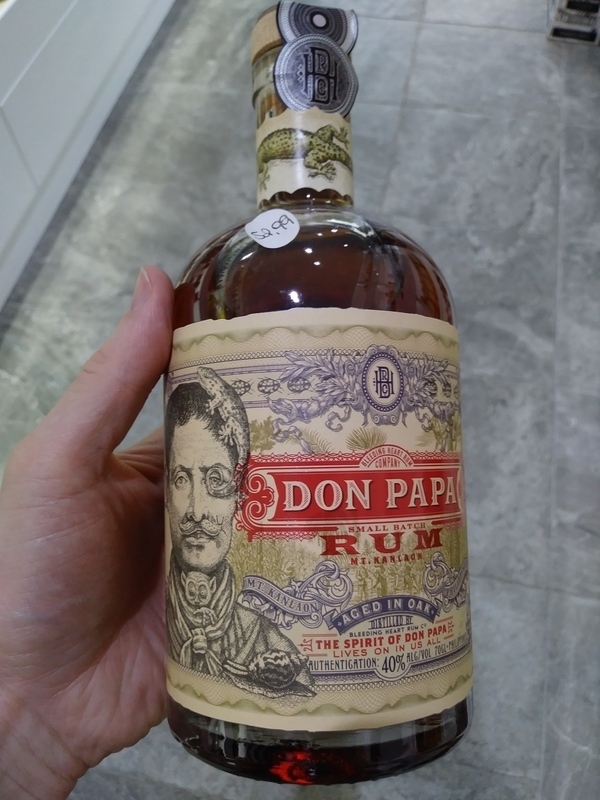 The name Don Papa rum was inspired by Papa Isio, a leader of the Philippine revolution against the Spanish who led his island to independence before joining the main revolutionary movement. I've been able to taste this rum at the Paris RumFest in 2014. This rum has clearly been designed to reach the general public, not aged rum fans: It is syrupy, in appearance as in taste and reminds me some cough syrup that I had to drink when I was younger. Not really desagradable, but clearly not neither what I expect from an aged rum! It could be compared to the Arcane Extraroma from Mauritius for its very fruitful taste and it probably shares with the Arcane the addition of cane syrup, even probably flavored cane syrup (artificially flavored or naturally, this is what remains to be determined in my opinion). But the difference between these 2 rums stands in the fact that this addition has been reasonably well mastered in Mauritius when it has been completely missed in the Philippines. We're not so far from a Malibu rum, in my opinion. this rum is not a rum, i think. it is a heavy sweetend spirit, i think. it is aritficial, i think. there is much vanilla sugar in it, i think. i cant drink that, i know. and there is glycerol in it, to make it soft, i think. you can drink it, if you want. but dont tell me therafter, i havent warned you! all this is my personal perception. This rum is a cynical cash grab concocted by corporate marketers and ad men attempting to appeal to the discerning drinker. And by "discerning" I mean: has money and knows diddly squat about spirits, especially rum. Look, the truth is that this is industrially produced cane sugar/molasses-based (I'm being generous here) ethanol which has been gussied up with all manner of sweeteners, artificial flavours, colours and god knows what else (glycerol and vanillan at least, according to lab tests) to make it palatable -- and it isn't! Bad enough that they call it rum, but it commits an even greater sin than playing fast and loose with the truth -- it tastes bad! Oh, and aged 7 years? Hilarious. I doubt it's even been aged seven days! After all, we all know what age statements mean on rum (hint: it rhymes with truck ball). It's a good thing rum drinkers don't seem to care about things like age statements and hidden additives, otherwise they might start getting what they're paying pay for, which is quality. Niekto tento rum hodnotí ako umelý rum, ako nerum, dosladený, dofarbený, neviem, čo všetko ešte. Ja hodnotím to, čo mám pred sebou v pohári. Možno mohol master blender urobiť rum tradičnejší, ale podľa mňa výsledné dielo nie je vôbec najhoršie. Veľmi pekná mohutná fľaša s prepracovanou etiketou, kde vyzerá rum ozaj tmavšie ako v pohári. Po naliatí tmavozlatá farba, rum podľa vône napovedá, že by mohol byť sladký, cítiť prezreté citusy, sladkú vanilku. Po ochutnaní sa rozvinie sladkosť s podtónom vyzretých citrusov, hrozienok a vanilky. Podľa mňa pekný, aj keď trošku prikrášlený nekaribský rum. I tasted this Rum in a nice pub in Ostend. I really liked the sweet taste. I liked the smell and i was surprised that the rum tasted differently than the smell. From now on I am going to explore more rums. I just came back from a trip to Negros Oriental, Philippines where Don Papa rum is made. Like the lush,sweet and beautiful island of Negros, Don Papa will put you in a state of sweet vanilla heaven being one of the smoothest rums I've ever had. Goes very well with Ginger Ale. Salamat Don Papa! When you have your first zip, you can't really place the taste. When the ice is melted, the taste is much better. 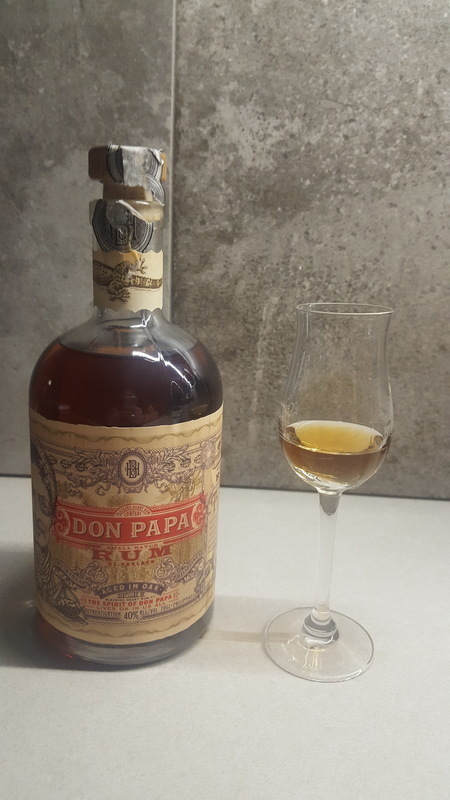 Tried the Don Papa Small Batch at the Cuba Casa de Mojito in Ho Chi Minh City and the place was for sure not lacking the ambiance, but the Don Papa was a big letdown. Such a sugary overload, completely missing the depth of flavors the typical aged dark rums have and actually the taste was closer to children's couch syrup instead of proper rum. The packaging is very nice... For the rest, it's hyper sweet so yes very easy to drink but the flavor is suspicious ... Not for a straight up drinking, maybe in mixed drinks. Pretty interesting one - full of oak & flavours of caramel. Liked it ... But not as much as the Diplomatico. C'est à se demander comment un rhum si jeune peut surpasser de loin certains bcp plus matures. L'inévitable. This is probably one of the easiest rums to sip. It is smooth and very sweet. Purists are probably not really happy with this rum, but for me it is in my favorites. First of all.. The bottle and that beautiful label.. Deserves a place in any cabinet just for the looks.. Nose : The scent from this one is clearly rich of vanilla.. Taste : The taste is a funny thing.. To me it tastes like a children's toothpaste.. This is not bad in any way for me. It took me like a half bottle to get used to it and now i even crave it from time to time.. Finish : The finish isn´t the strongest part, it fades away pretty quick and there is noting there.. Since the taste is so unique this rum is of the kind that you either hate it or love it.. So it´t not for everyone.. But if you like it you´ll love it..
Syntetisk, alt for sød i både smag og duft. Bestemt ikke min farvorit. A friend brought a bottle to a party so I gave it a try. It is not the type of rum I like. It is super sweet and has flavors not normally found in rum. Dont buy this liquid. If you have guests and you want them to go home serve this drink. Its a nice bottle but thats it. You cant even use it for mixing it with cola. Dont touch it! this rum is not a rum, i think. it is a heavy sweetend spirit, like bubble gum flavour. there is much vanilla sugar in it. Taste of vanilla and citrus notes. Not bad to drink but not a real rum : an artifical rum. Certes y'a du goût ! C'est très étonnant la première fois, tellement étonnant qu'on dirait du "spiced rum"... Autrement dit un rhum festif et débridé. Très doux, très parfumé, fruité, super facile à boire. Si vous me le permettez je dirais : un rhum pour les demoiselles en vogue ! Pas de complexité, pas de longueur qu'on attend sur un rhum vieux. Pour les novice du Rhum, ce produit est genial et parfait, egalement très feminin ! All things but not rum, for me, it's the "redbull" of rum family. Interesting to taste to understand what's a commercial product. "The best damn rum that I've ever tasted..."
"offers flavors of vanilla, honey and candied fruits"
"Egg custard and nutmeg is another thing that is brought to mind..."